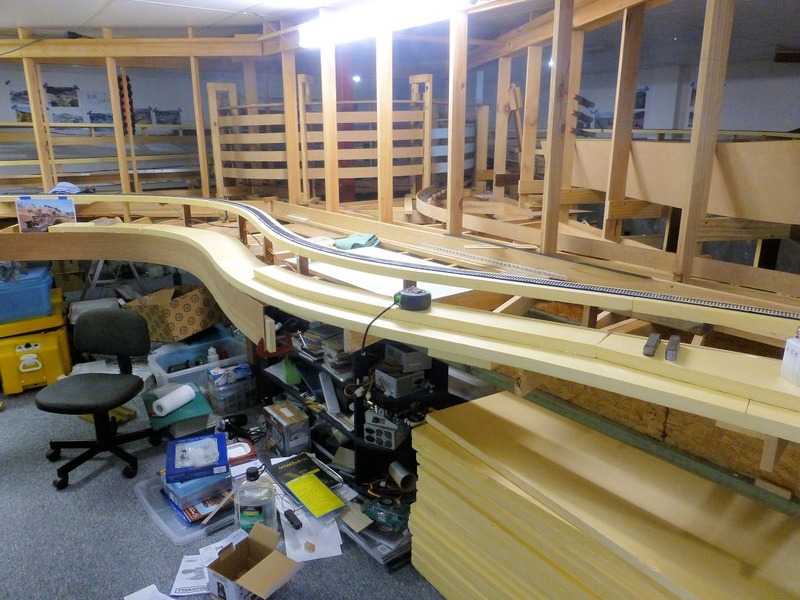 Apologies for the long time between posts. 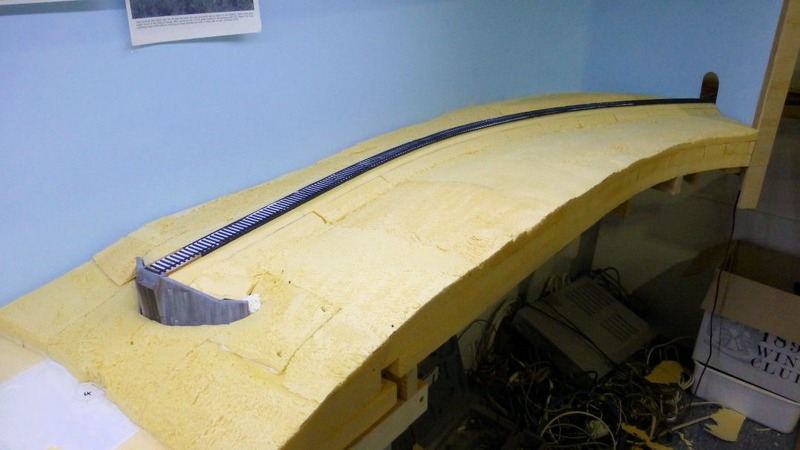 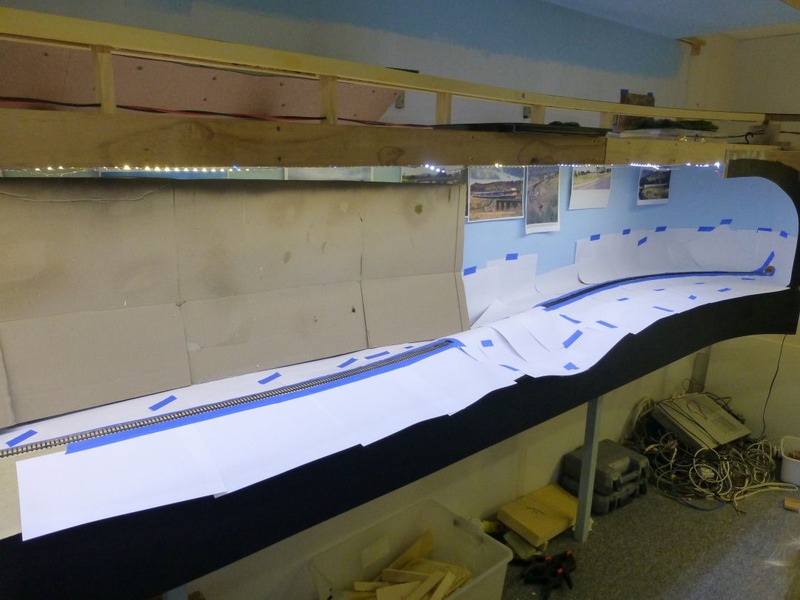 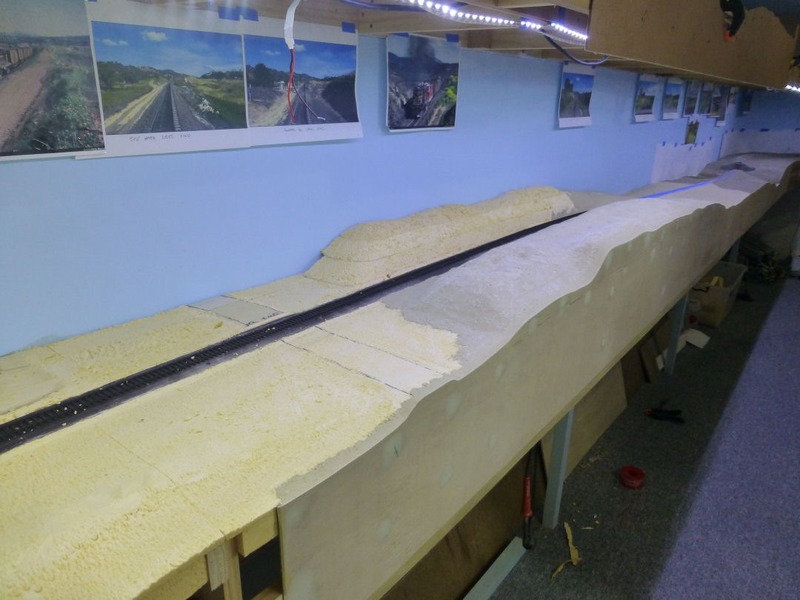 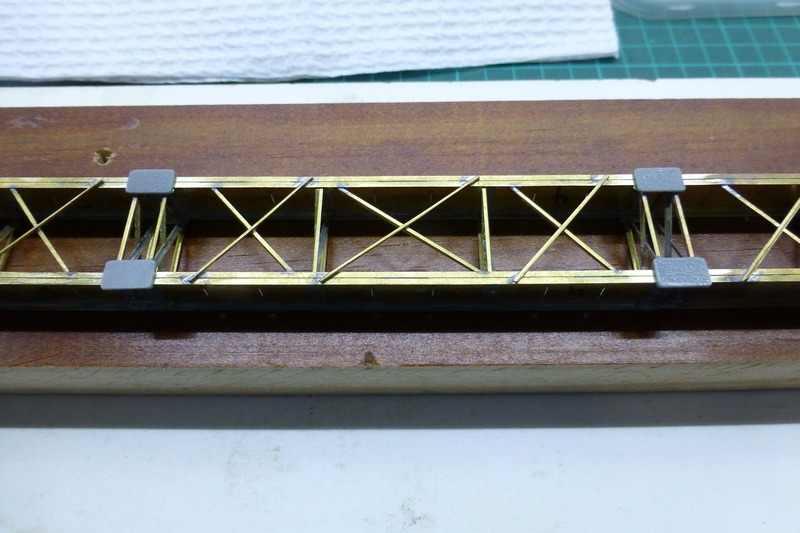 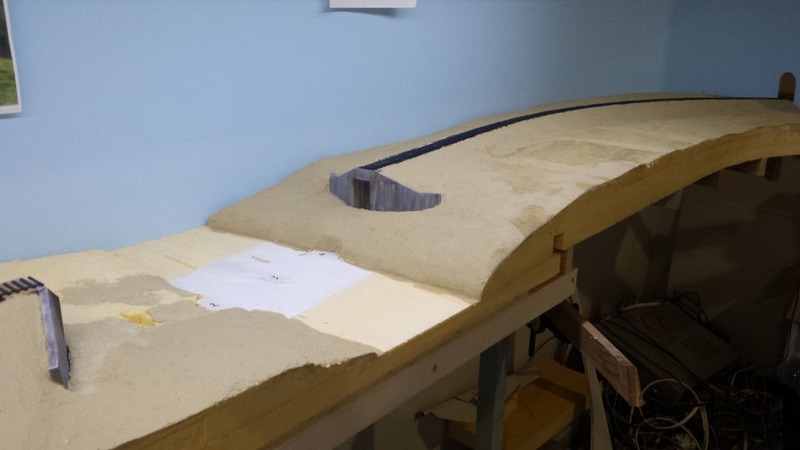 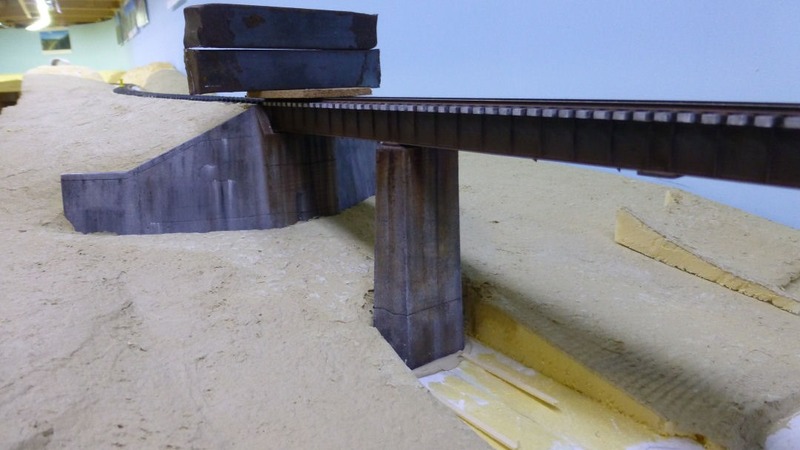 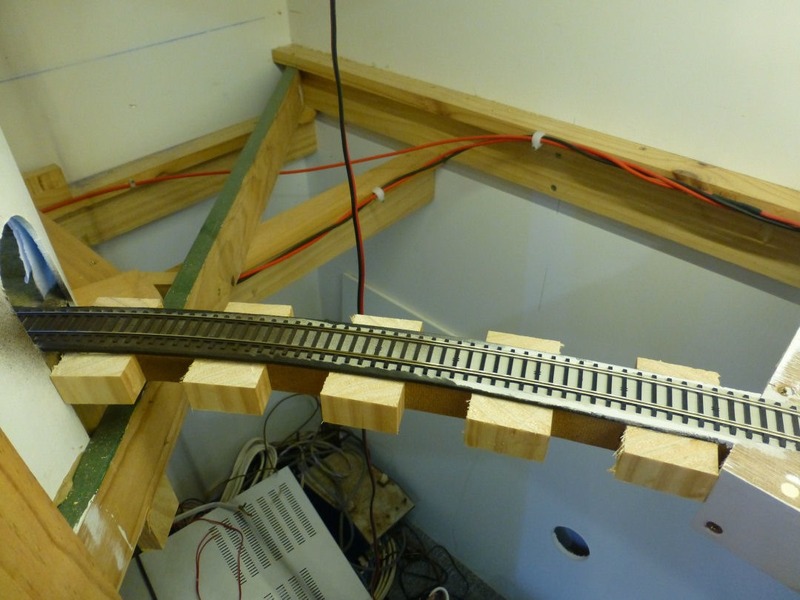 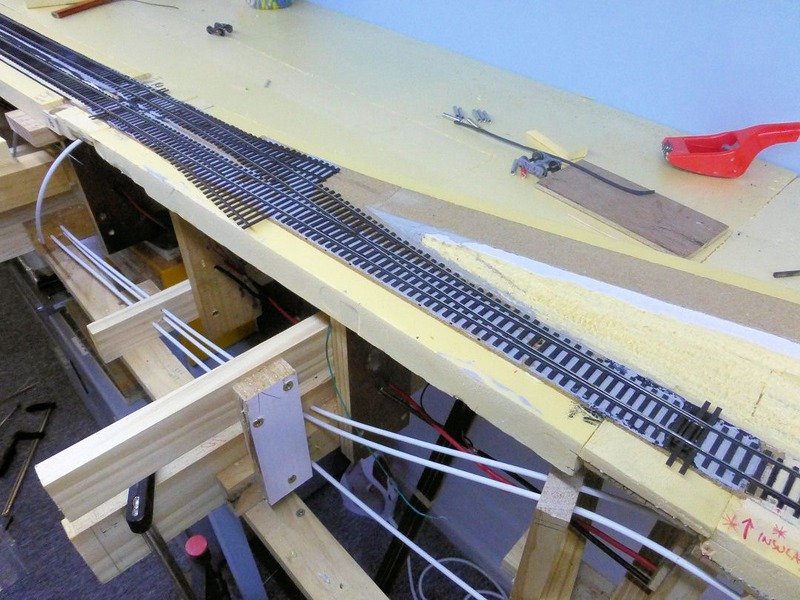 Since the last post, I have completed the trackwork at Kankool, which included completing laying of the CV tie bases, fixing down the two turnout assemblies and gluing rail to the CV ties. 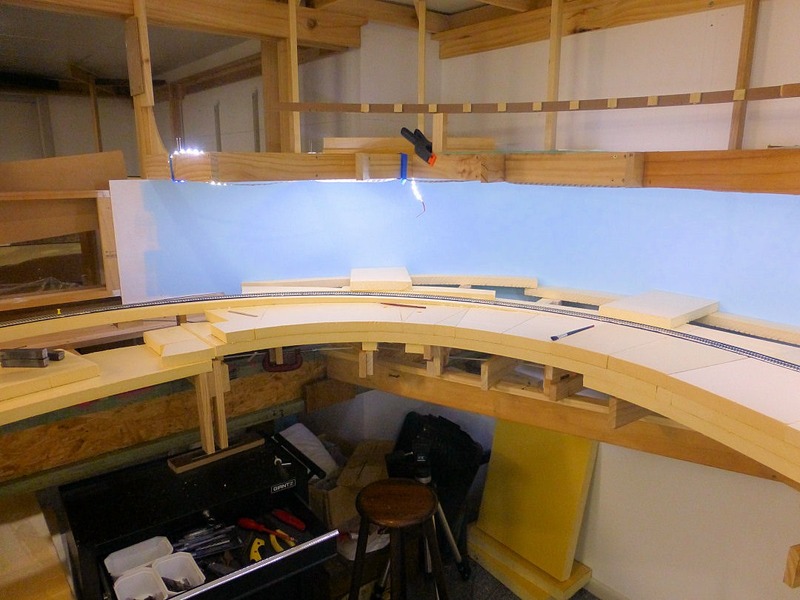 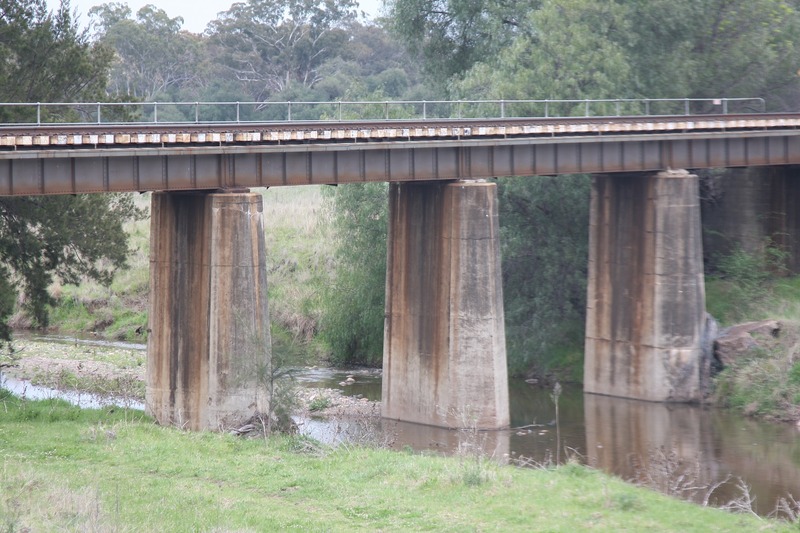 The above pictures show both the Willow Tree end and Murrurundi end turnout assemblies now fixed in place. 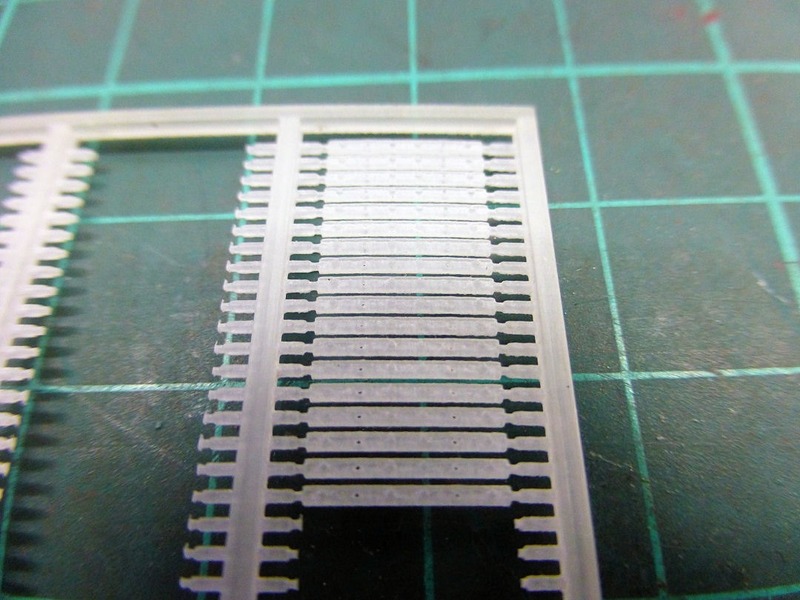 Prior to fixing down, they were carefully washed in soapy water to remove any solder and flux residues, then painted with the Krylon flat brown paint. 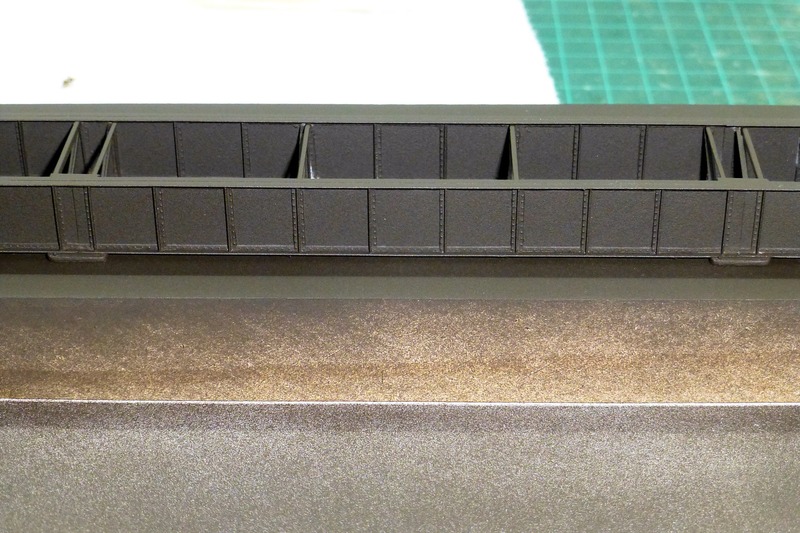 I’m hoping it will provide the same flat base to allow for weathering later on. 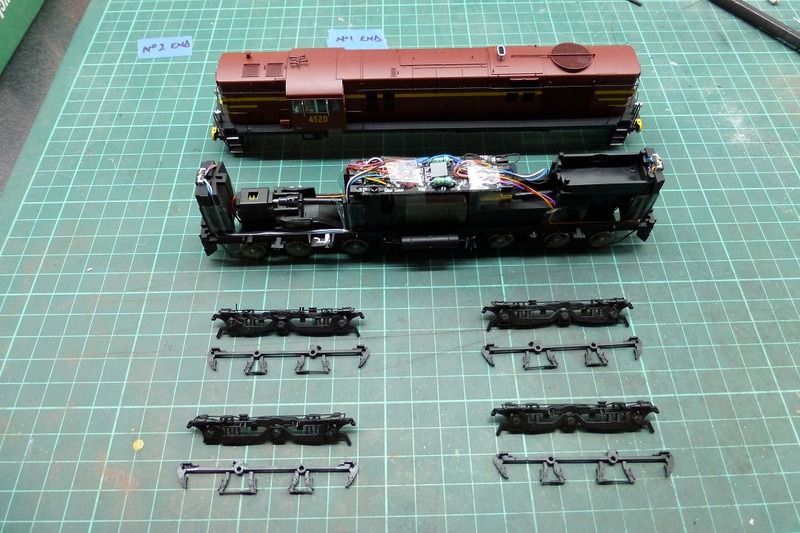 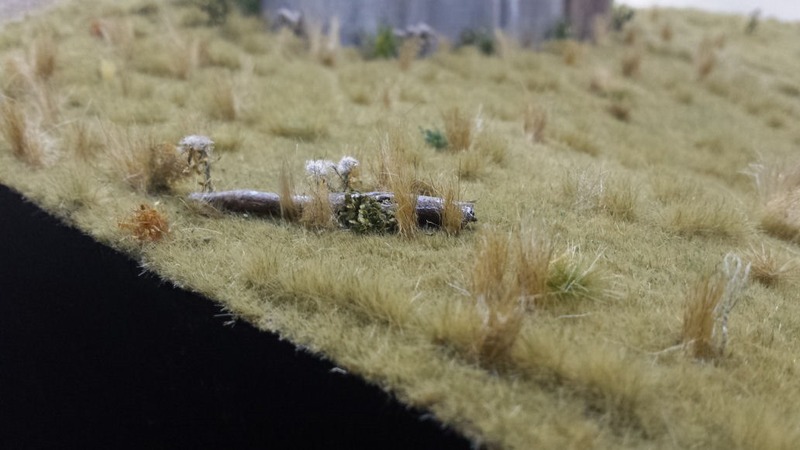 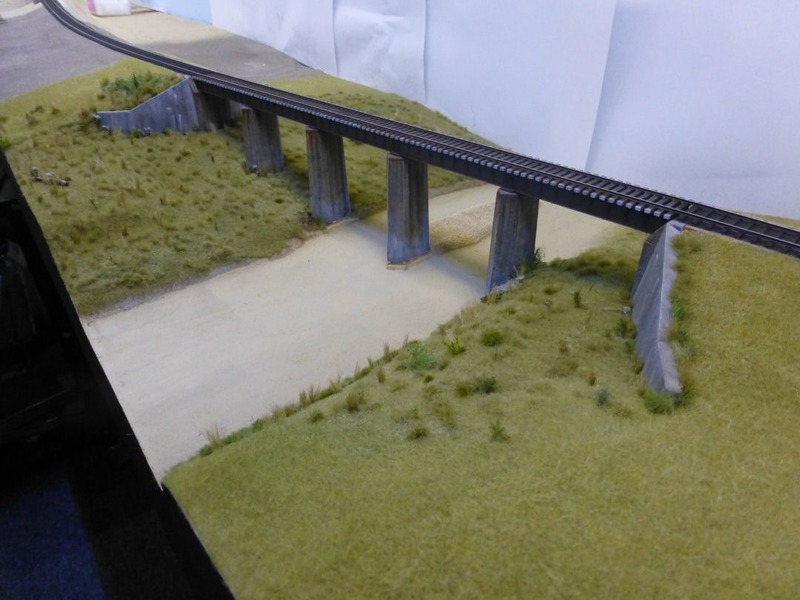 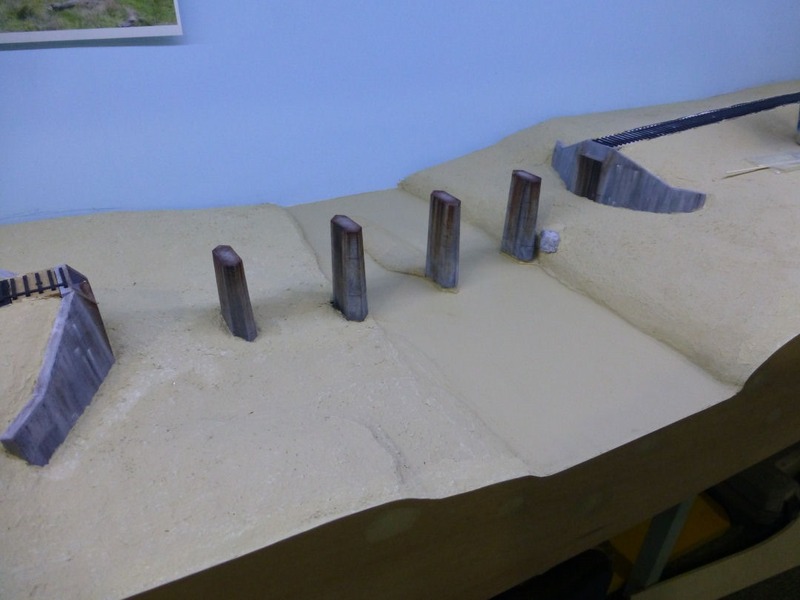 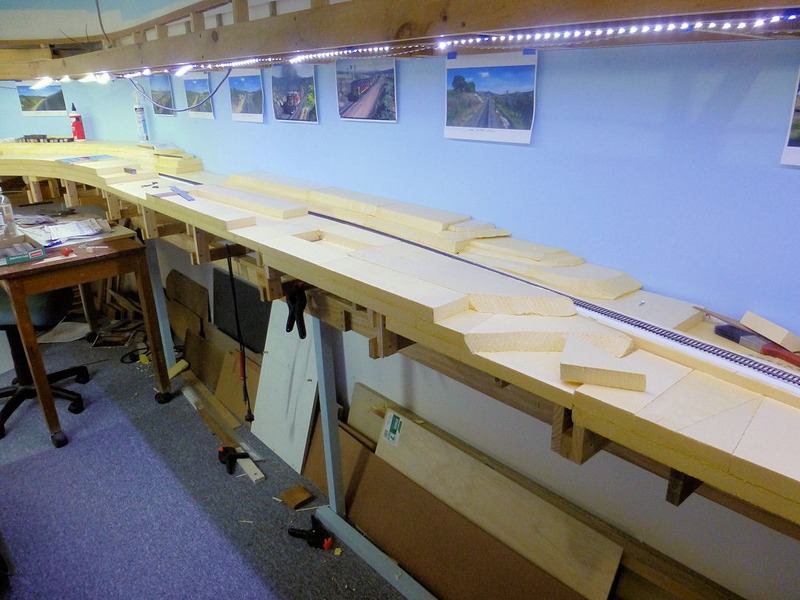 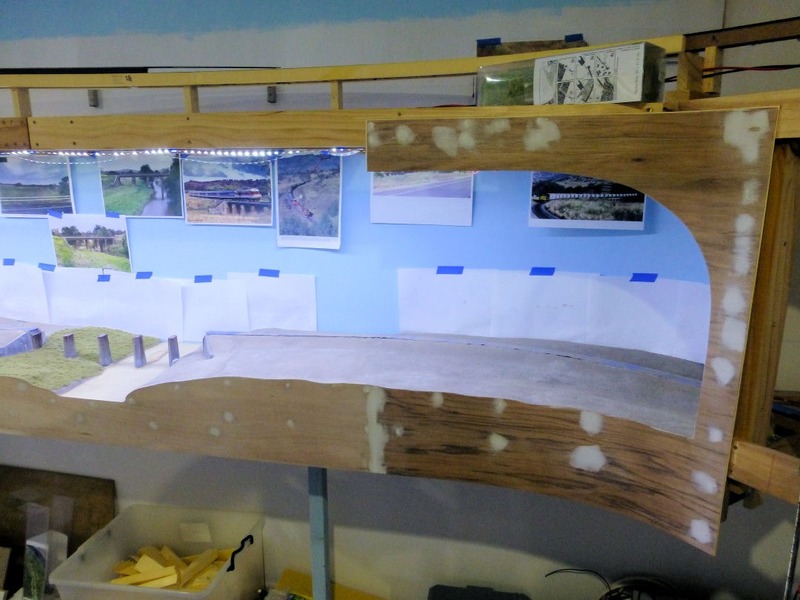 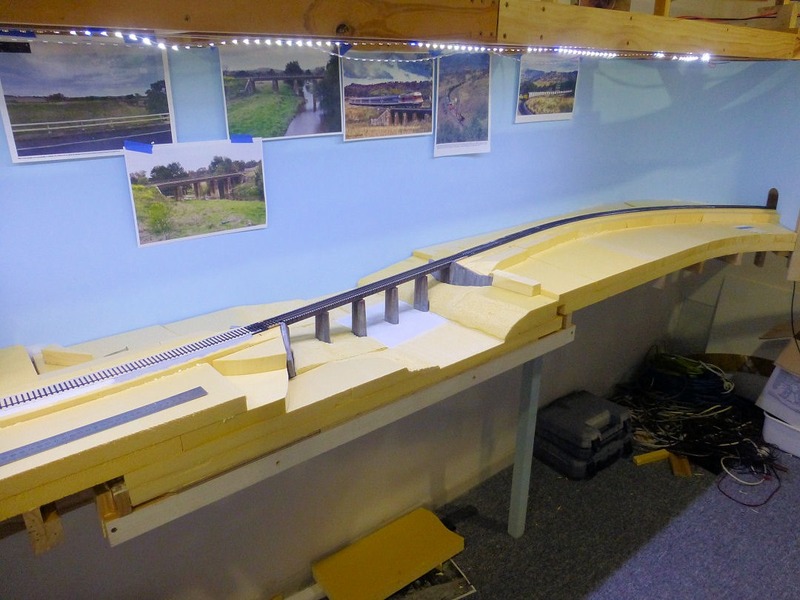 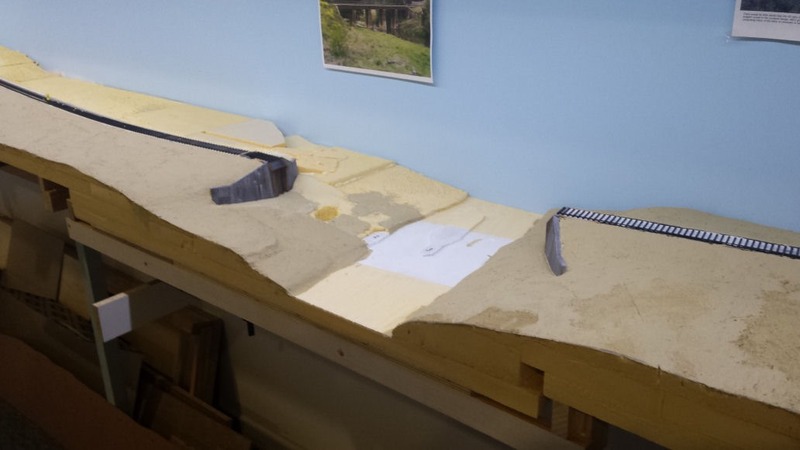 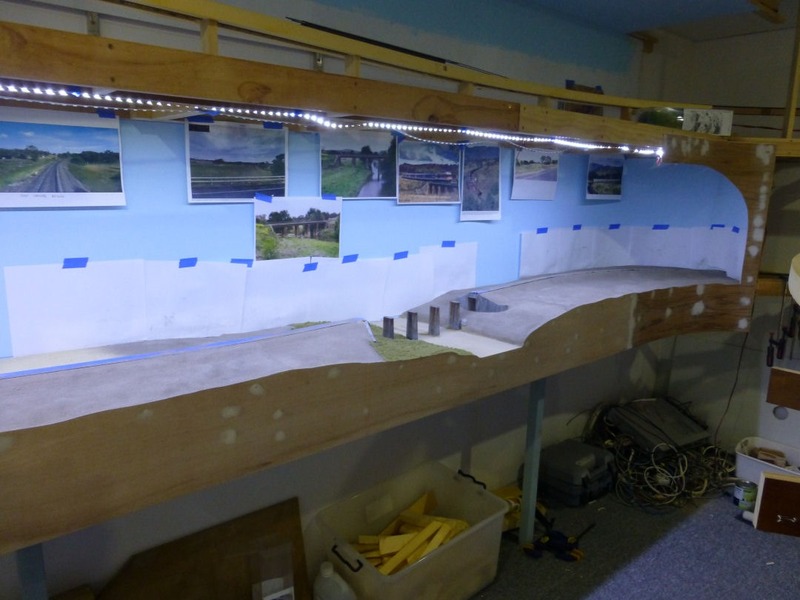 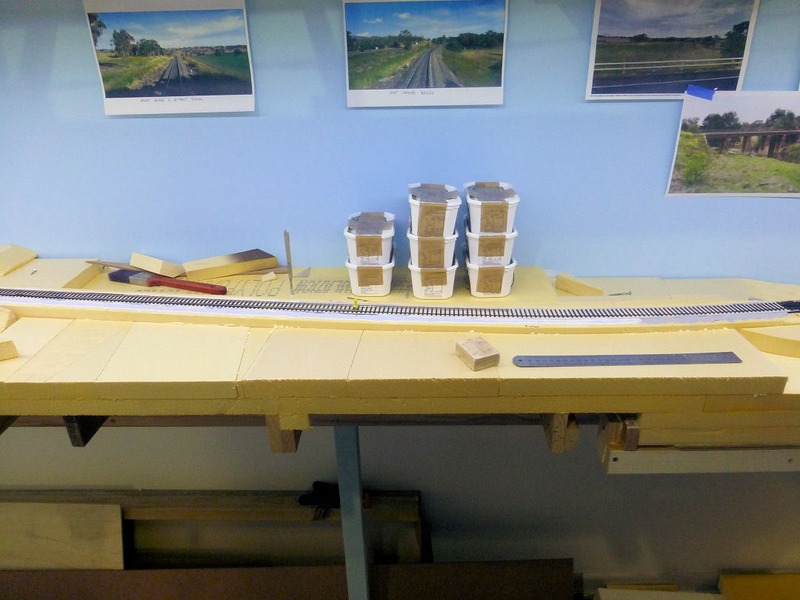 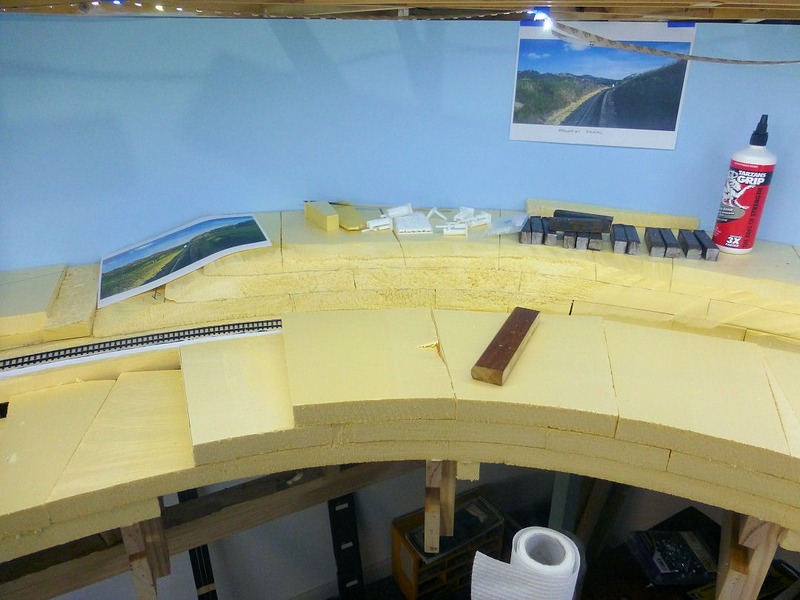 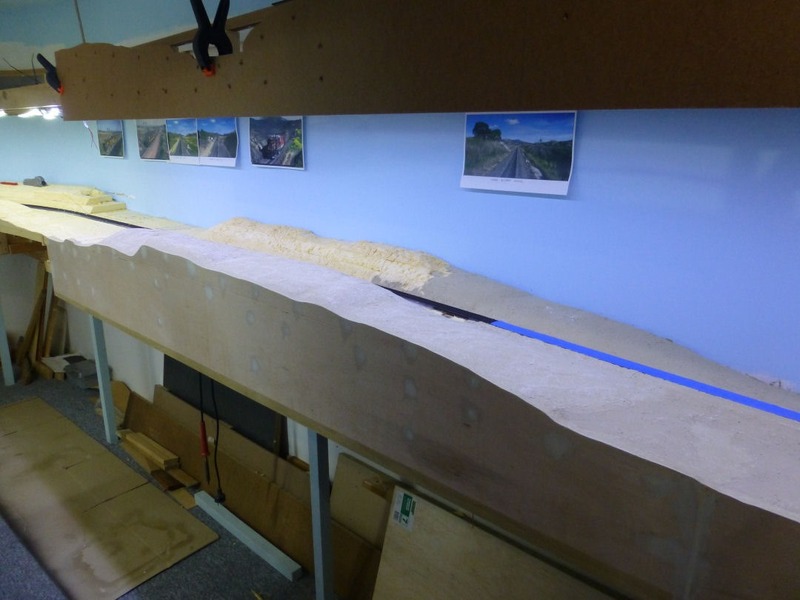 Once the turnouts were in place, I could start laying the rail on the plain track sections. 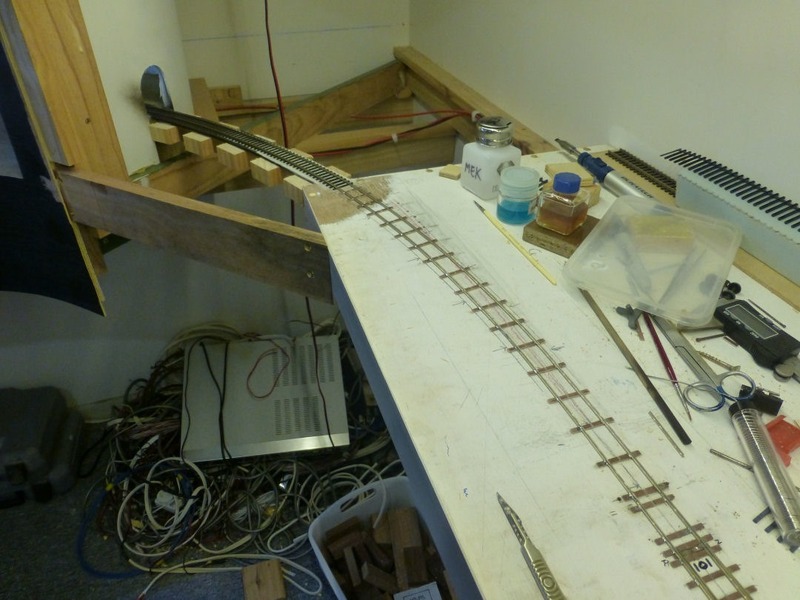 The process is the same as was used when I laid the first section of CV ties and rail in the Temple Court section. 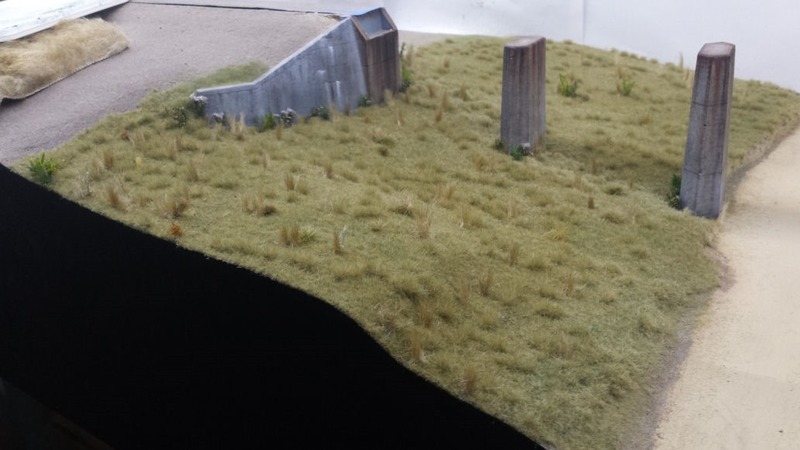 Refer to this post as a reminder. 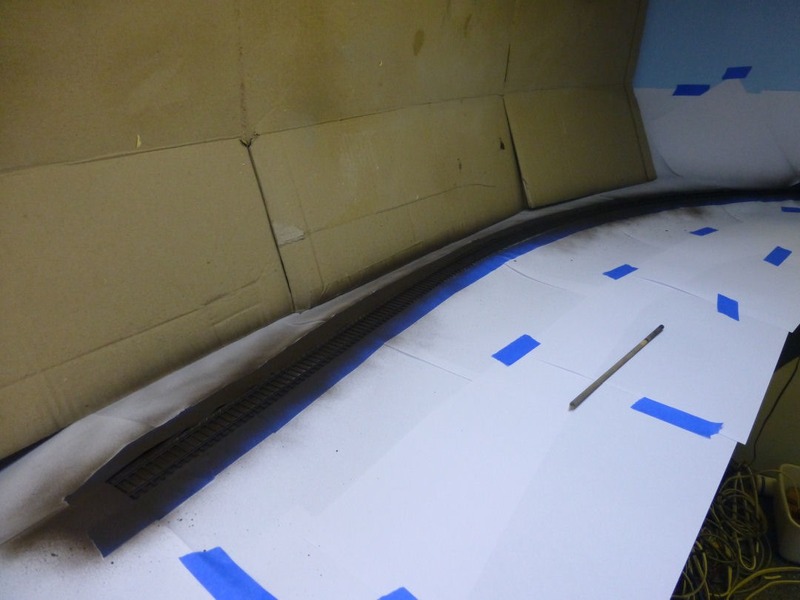 The only difference now is that I am painting the rail with the Krylon prior to fixing in place. 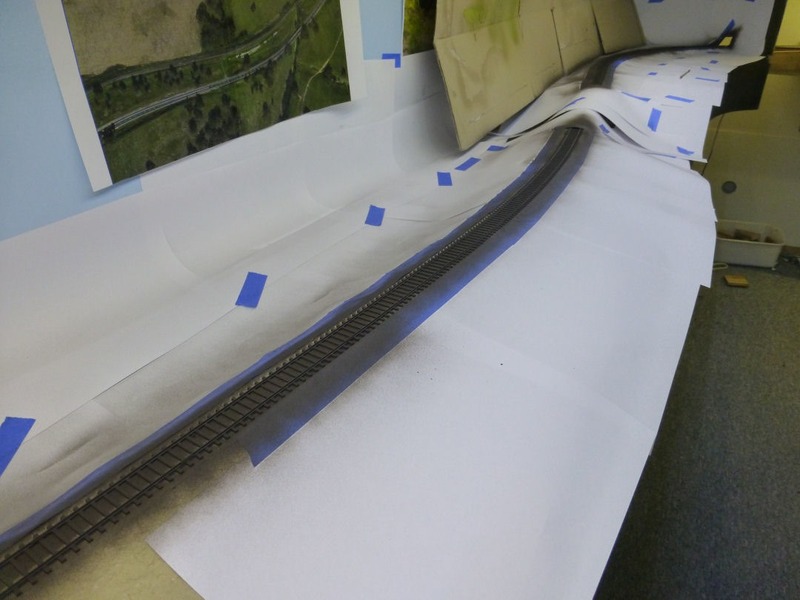 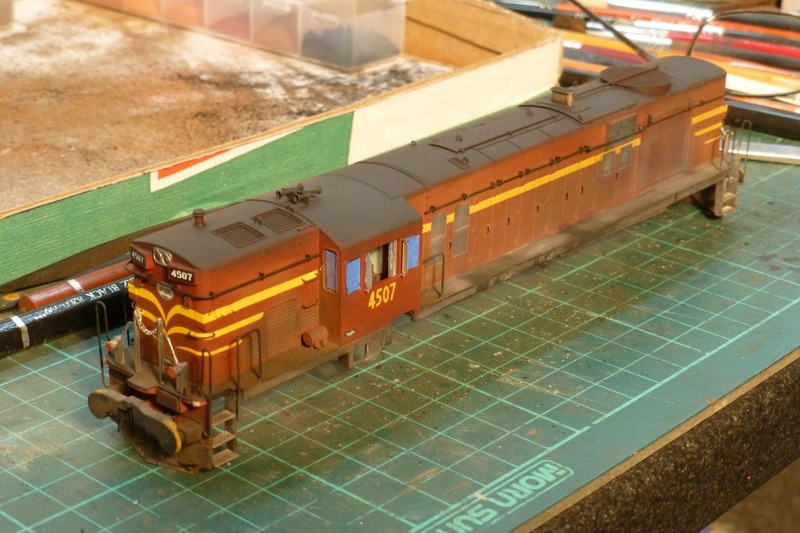 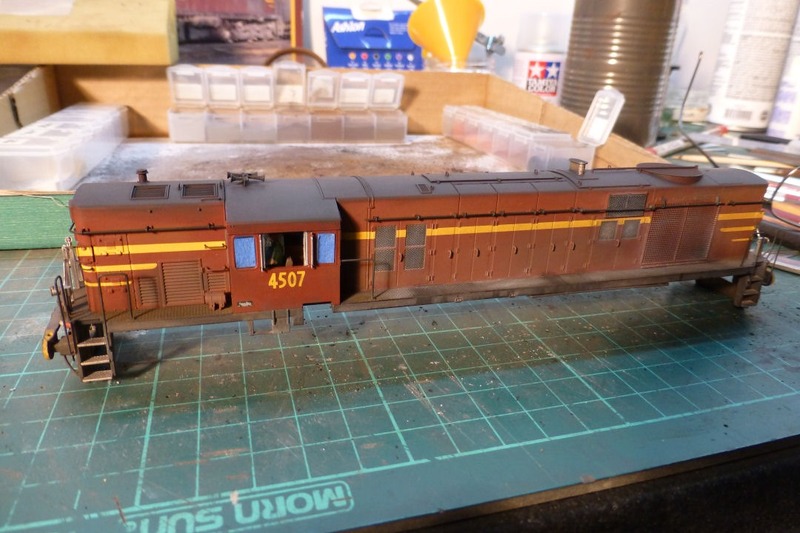 Another extra task that is being done prior to painting the rail, is to add cosmetic fishplates. 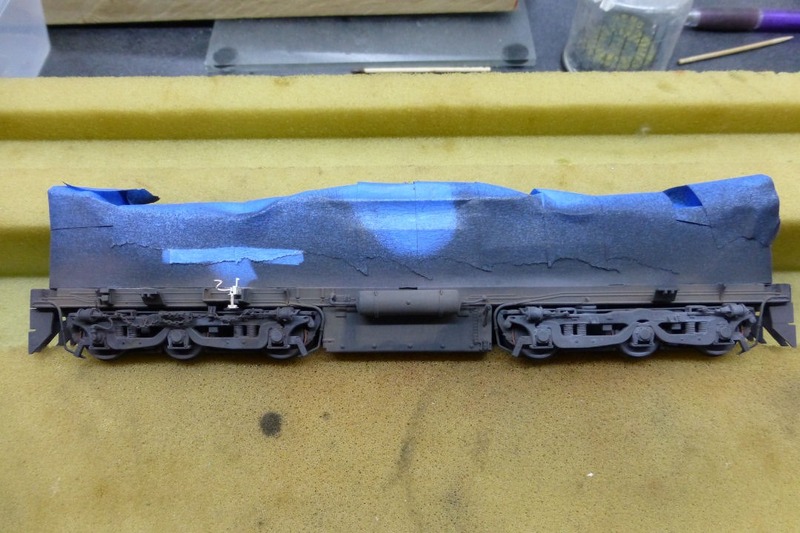 I did not do this in the Temple Court section, but they will be added to the rail later and touched up with paint. 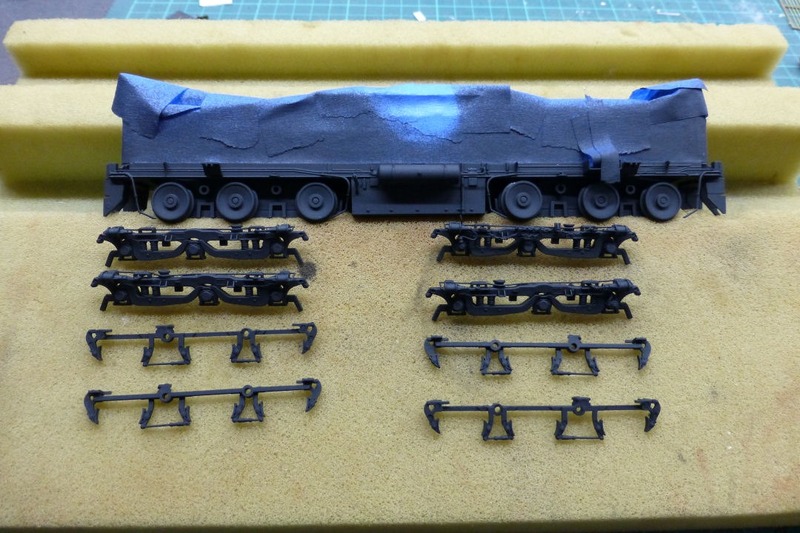 I am using 3D printed 6-bolt fishplates from Ray Pilgrim. 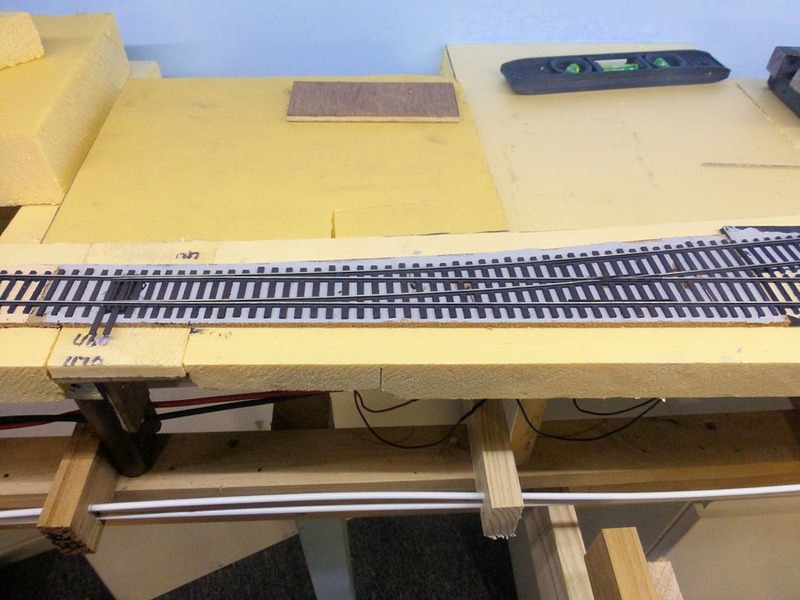 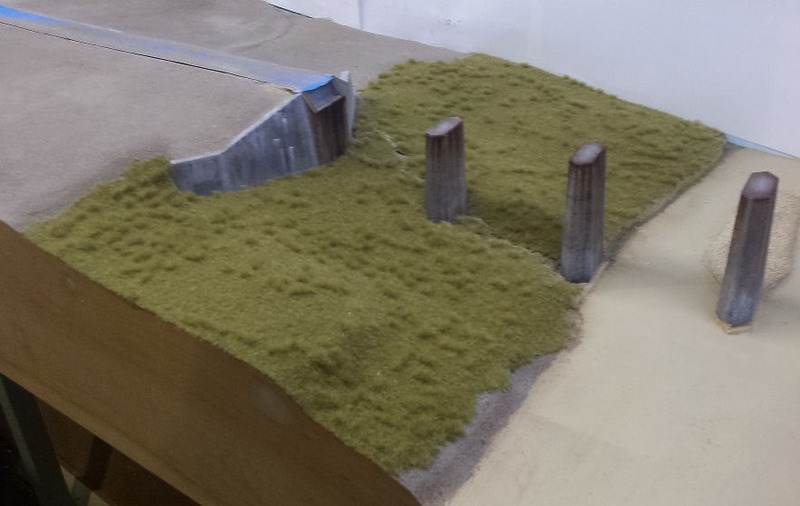 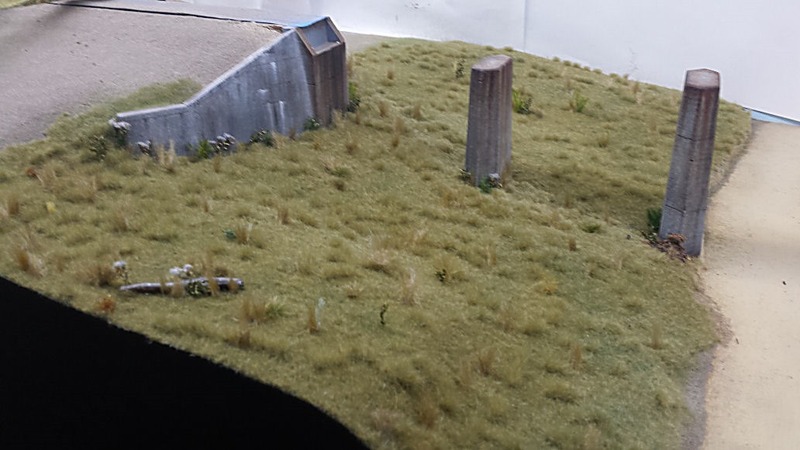 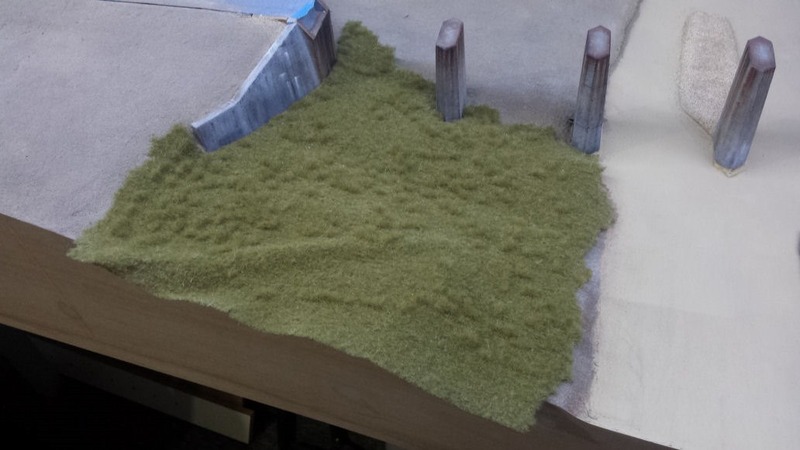 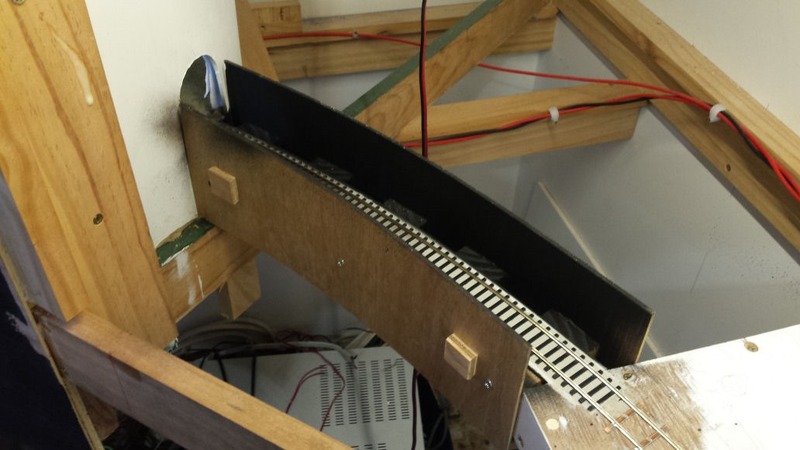 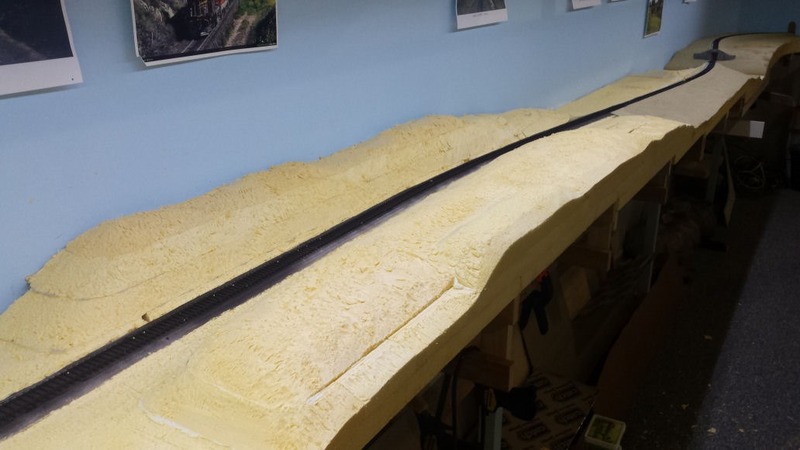 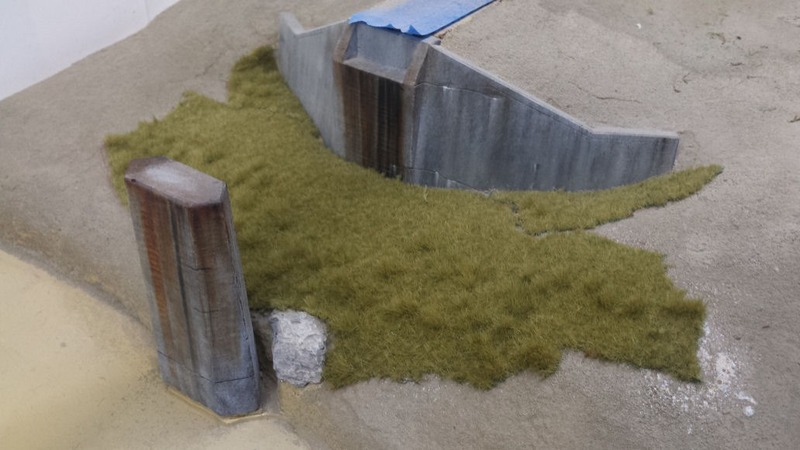 There are superglued every 40 scale feet along the rails. 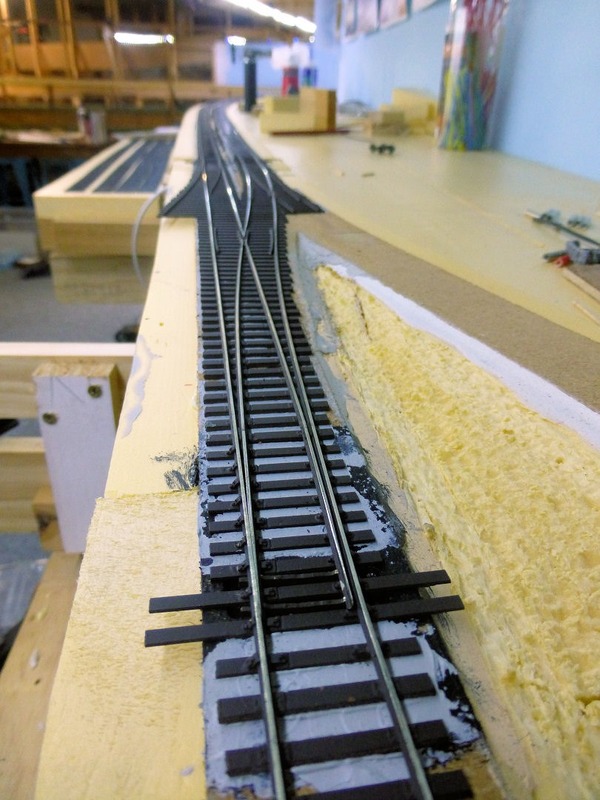 They are a bit hard to see in the picture above, but I am hoping once the rail is weathered, they will stand out more. 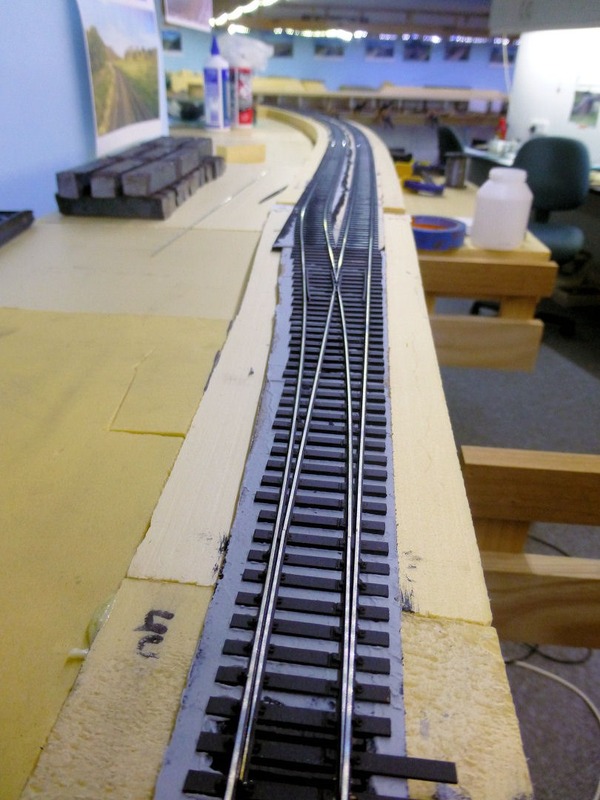 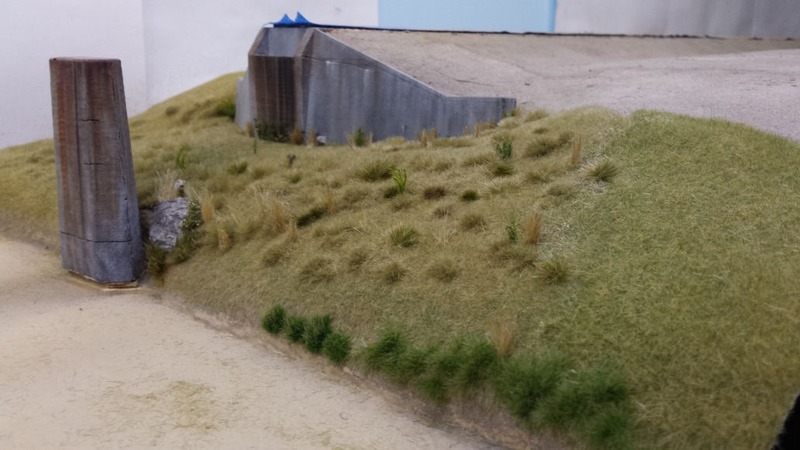 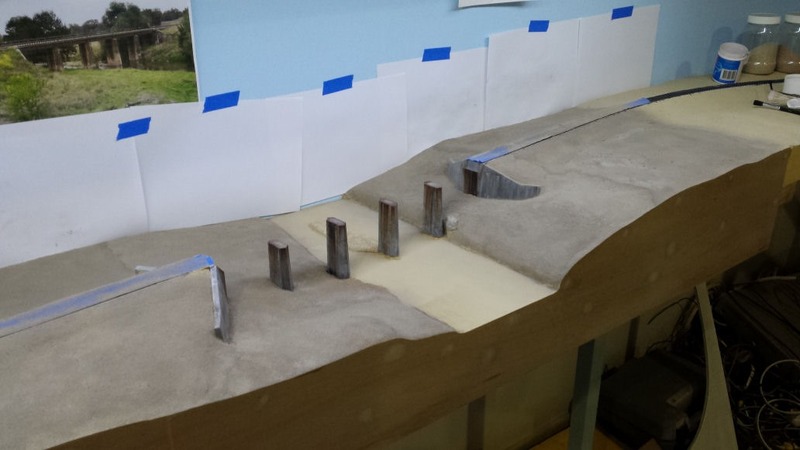 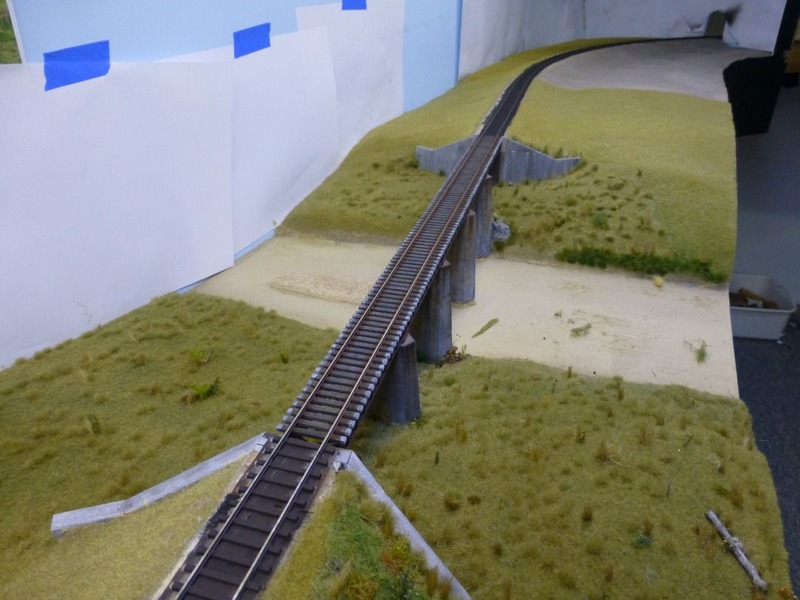 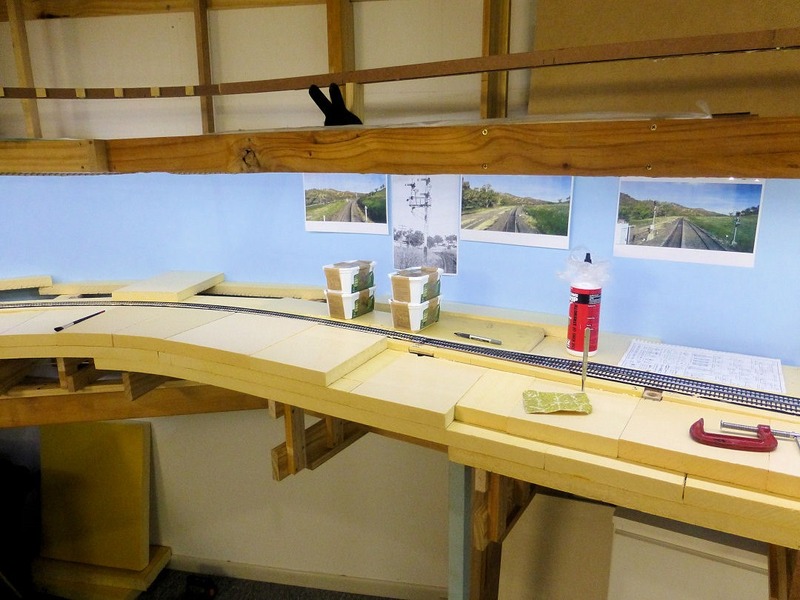 To finish this post, below are a couple of shots of the finished trackwork looking from each turnout. 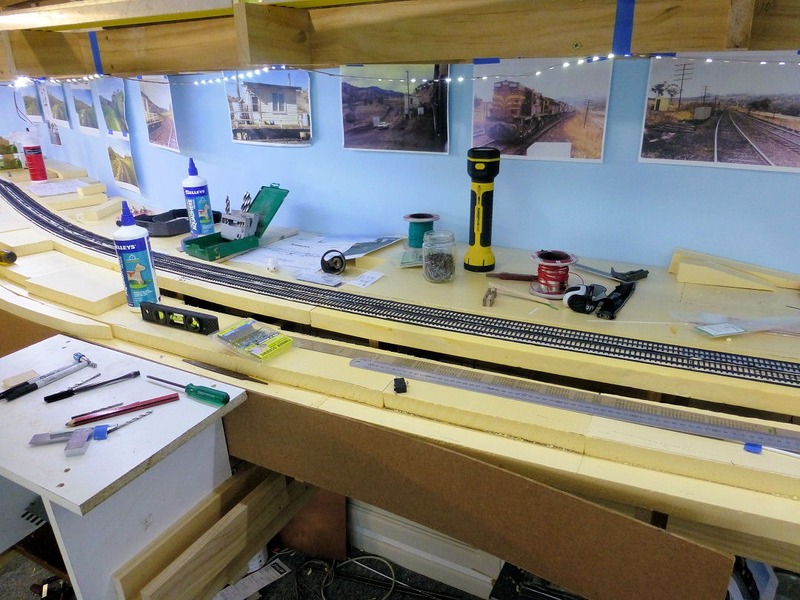 Work has progressed on the bridge over the last couple of days. 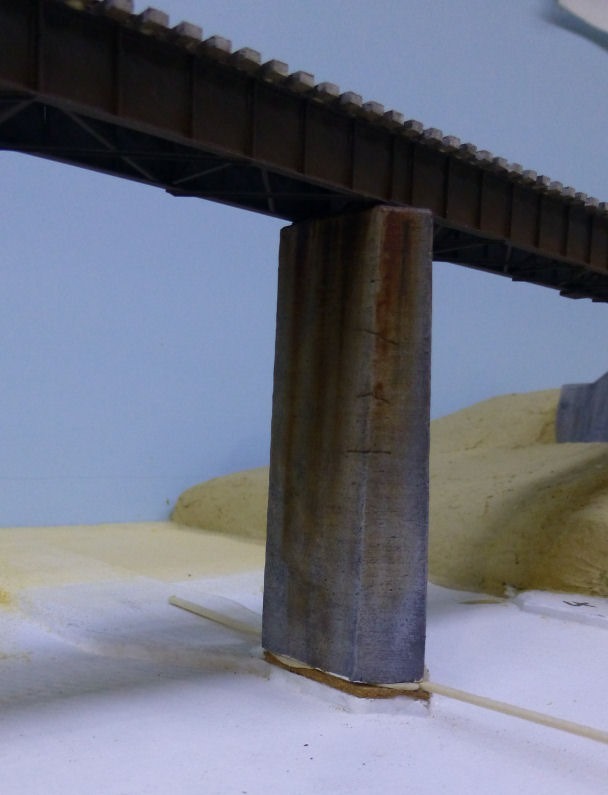 The bridge spans sub-assembly was washed and then some girder support pads were fixed in place at each of the girder section joins. 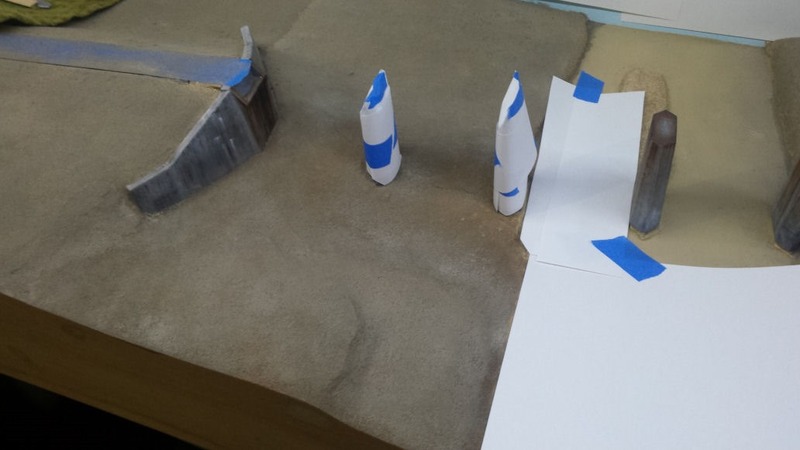 These polyurethane castings are made from my own patterns. 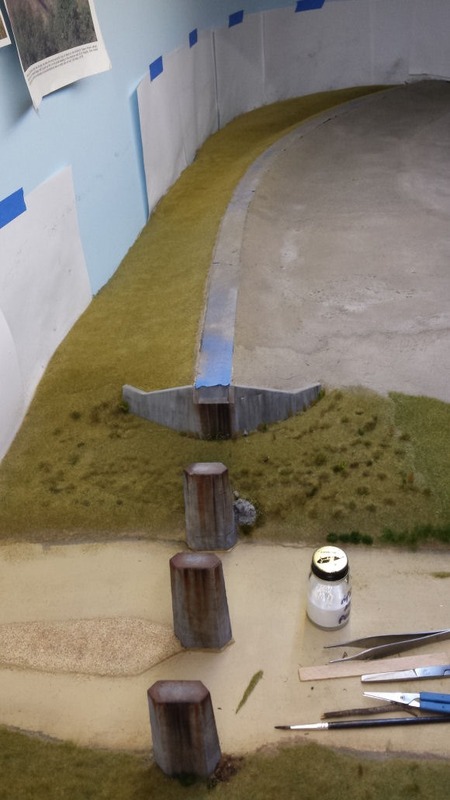 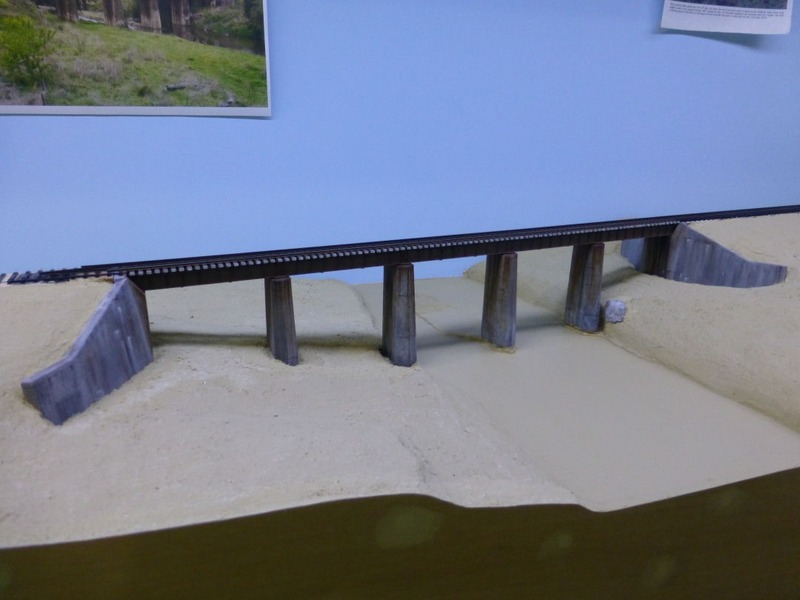 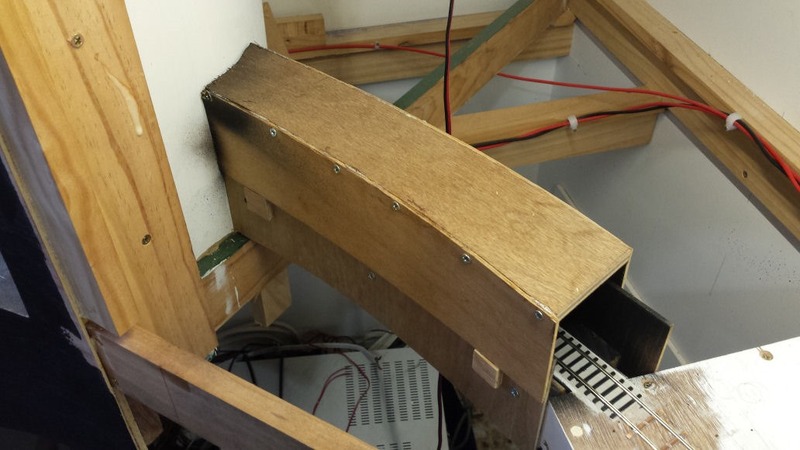 The bridge was then sprayed with Krylon camoflague matt brown paint. 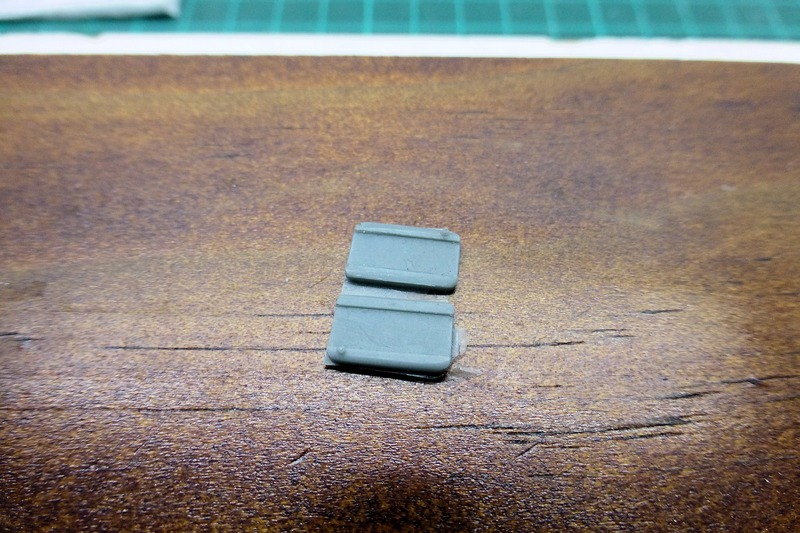 This is a super flat finish paint that a mate introduced me to and is used as a base coat to accept weathering powders. 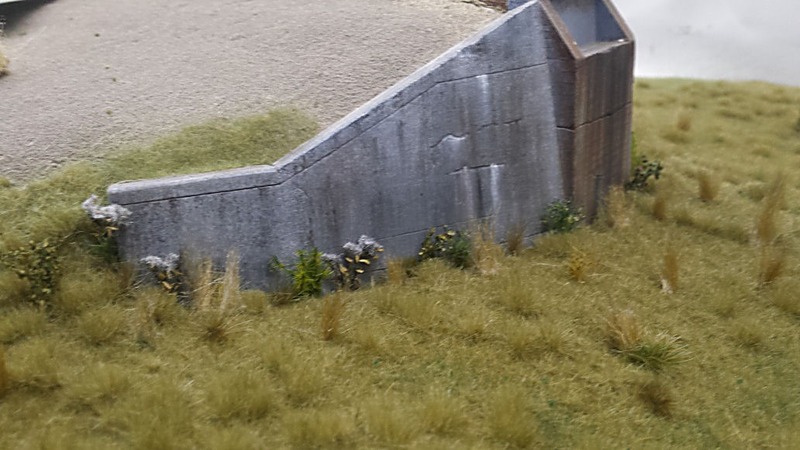 More details on these later. 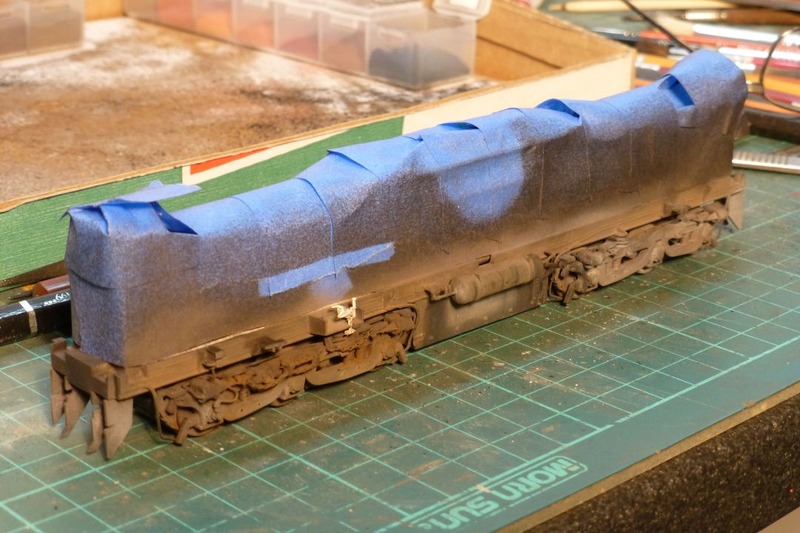 The spray went on very nicely and didn’t hide the rivet detail at all. 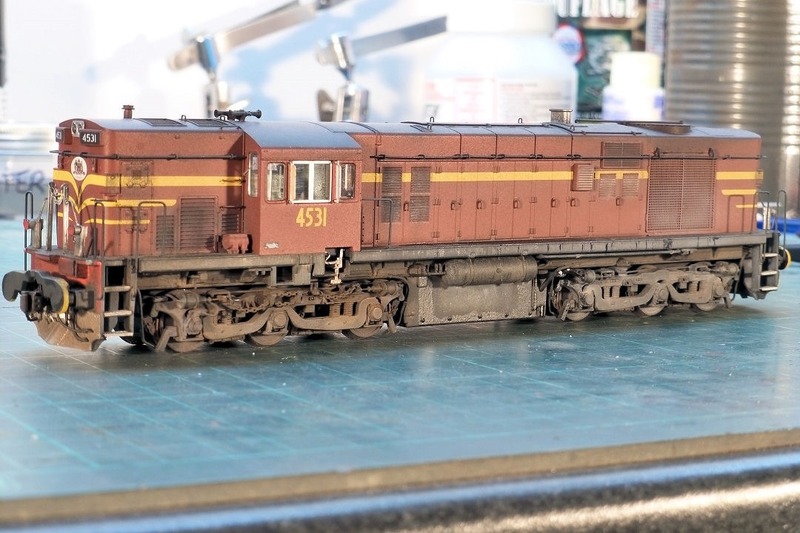 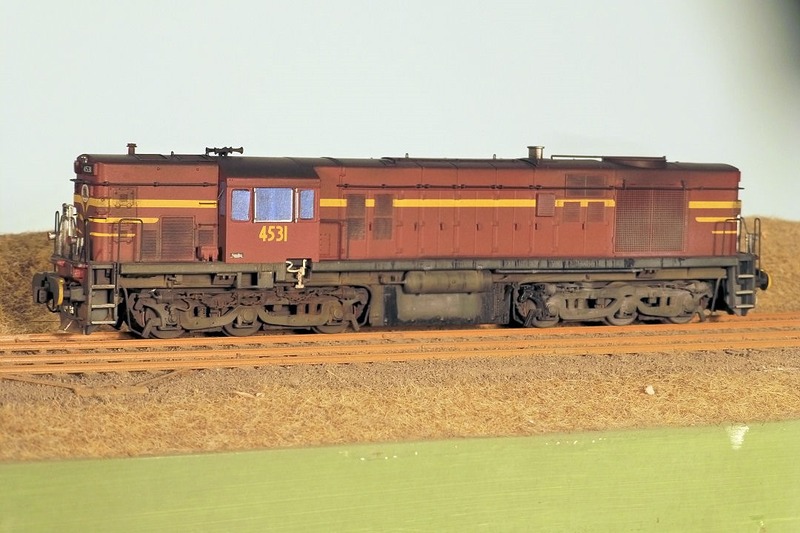 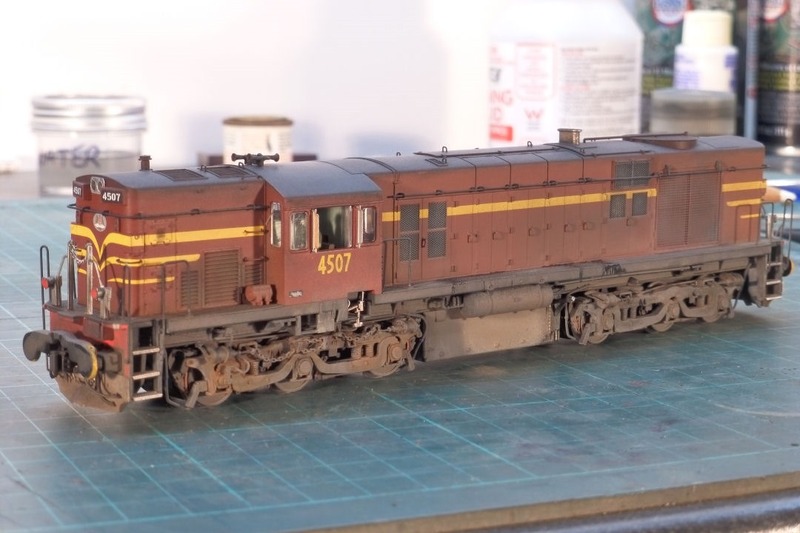 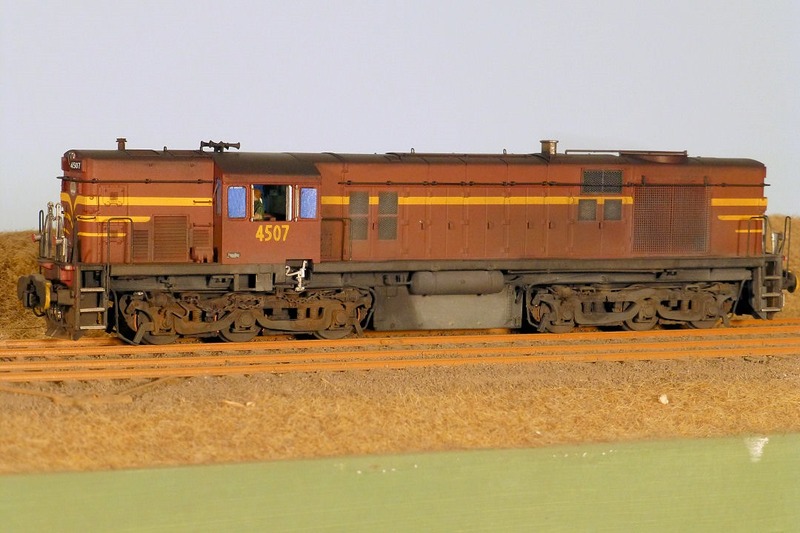 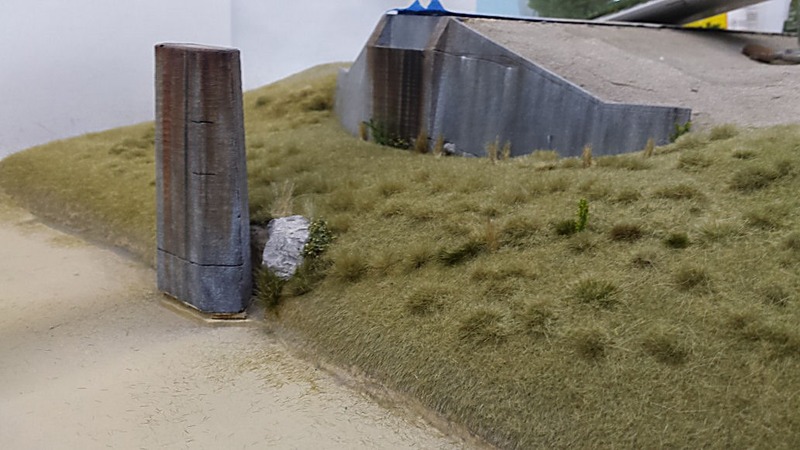 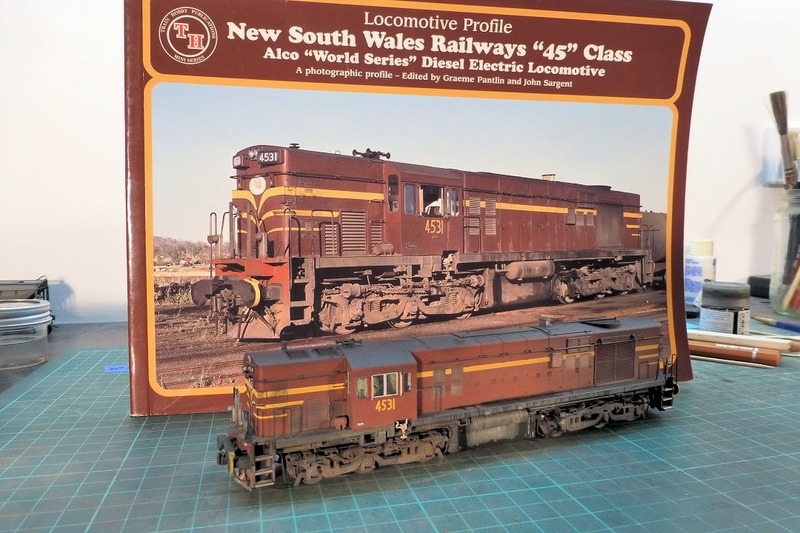 The photo below is the look I am trying to achieve with the weathering to come.